I was hoping to get some guidance and am including a picture. I have a brick house that was built in 1913 and then gut rehabbed in 1998. They replaced all of the windows and redid everything in the house. Unfortunately on the front of the house the wood around the window has been rotting for years and I'd like to fix it up. I was hoping to learn about the terminology involved here. Would this be called "window casing"? Is this a certain type of window design? I would like to research this problem on the internet or perhaps call an expert but I'm not familiar with the terminology to even do basic research (what kind of expert would I even call for a quote? Window install company?). Any idea why this rotted out? Does it just need to be replaced or did the construction company cheap out when they did the rehab? The wooden part is called the window frame and going by the picture it seems to be a double hung window frame. There are various types of frame materials (wood, metal, etc.) this site describes the different types of window frames, their pro's and con's and some other handy tips. If you want to know what the different parts of the frame are called, you can visit this site. Typically wooden window frames need yearly (or at the very least every couple of years) maintenance in the form of sanding and repainting. This ensures the wood stays sealed and prevents them from rotting. I'm not sure what the life expectancy is for wooden frames but 20 years seems a bit short, but if they weren't maintained properly then all bets are off. Personally if the window is that rotten I'd probably look at replacing it. By the looks of it, it's single pane glass so it might also be a good idea to upgrade the glass to a multi-pane glass type. Multi-pane glass insulates your house better and helps in keeping noise out (combined with a good window frame of course). 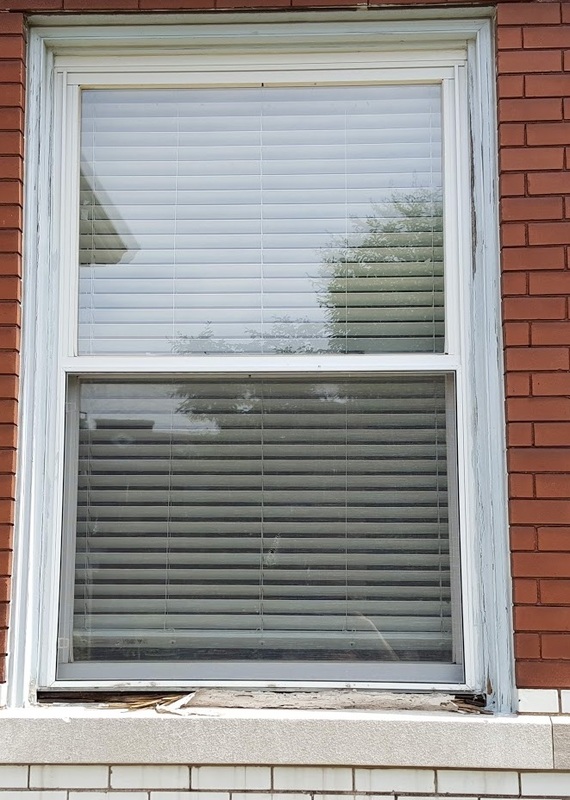 What are my options for replacing or upgrading my window screens? Window “brakes” - What are these things? what's the term for double window in one window frame and why is it considered outdated technology?